DAVID LE/Staff photo. 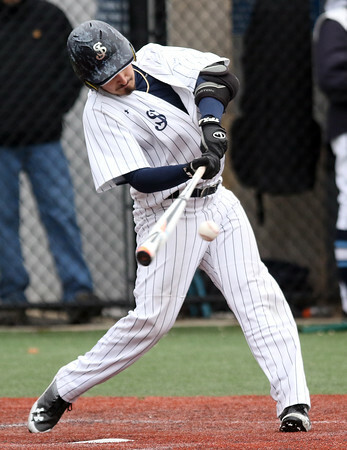 St. John's Prep junior Frank DiOrio lines a sharp grounder that he beat out for a fielders choice and recorded an RBI. 4/8/16.